Welcome to the newest section of our newsletter. Because so many of our customers are pond and koi owners, we have decided to feature a different breed of koi each month. We introduced Kohaku last month. For October, we are talking about Showa. The first Showa was born in 1927, after breeding a Ki Utsuri and a Kohaku. This breed was later improved in 1965 by breeding a female Showa with a male Sanke and a male Kohaku. Showa are sometimes confused with a Hi Utsuri. Showa are black fish with red and white markings. There must be red and black markings on the head. Showa are known for their vibrant hi (red) and the proportionate sumi (black) and shiroji (white). The markings on these beautiful fish resemble thoughtful brush strokes. 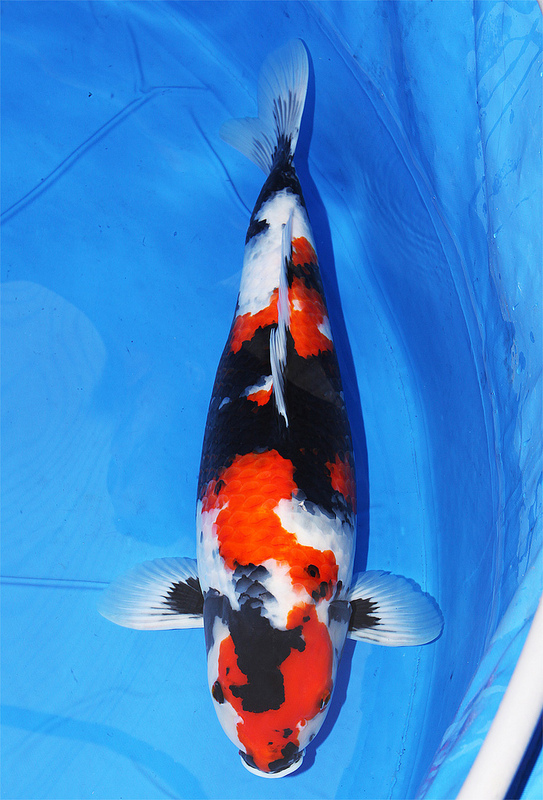 Breeding your Showa with a Kohaku or Sanke will help improve the markings and color. Lauren says that Showa are a MUST HAVE.